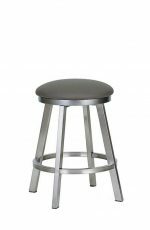 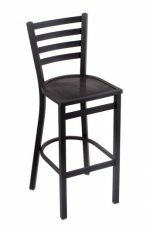 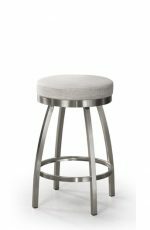 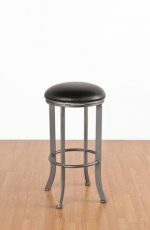 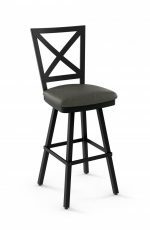 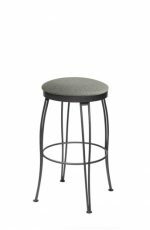 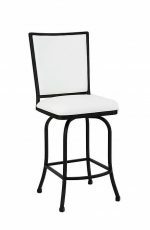 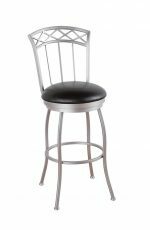 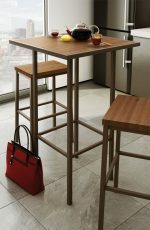 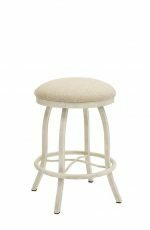 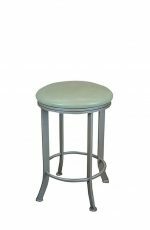 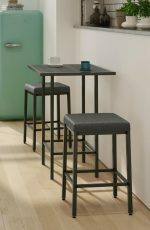 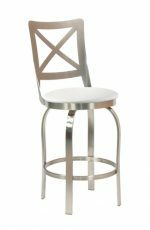 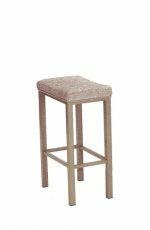 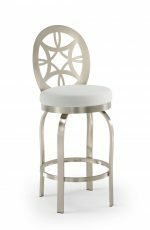 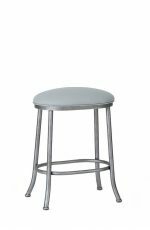 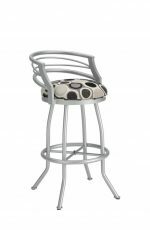 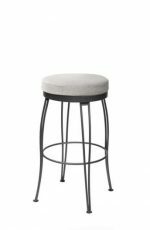 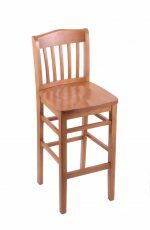 Narrow bar stools are typically no more than 18 inches wide and are very useful in small kitchens or in general, small spaces! 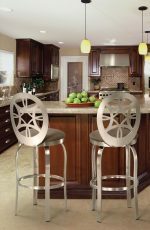 If you don’t have much room in your area, these stools will give you the walkway you need to get in and out of the space. 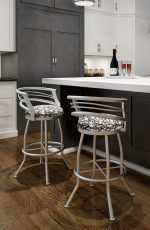 Because narrow or “skinny” barstools take up less room at a counter or island, they don’t overwhelm the area. 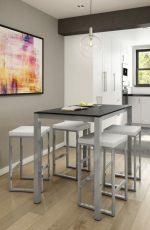 This helps to create a sleek, uncluttered appearance. 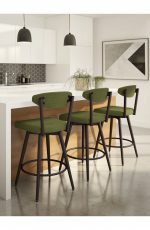 Three narrow bar stools can fit in the same space as two wide body stools. 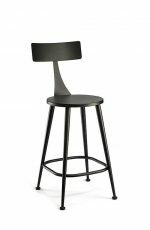 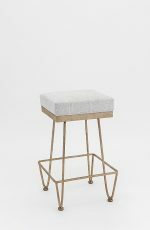 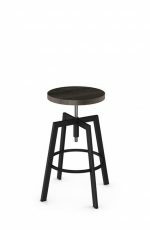 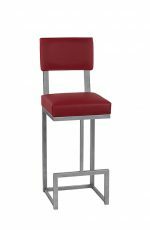 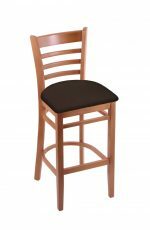 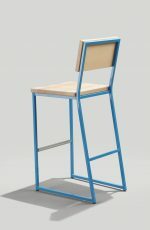 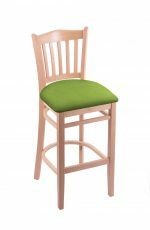 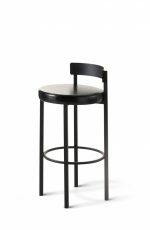 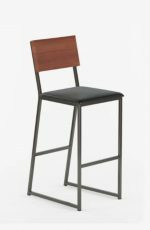 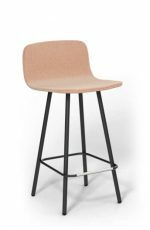 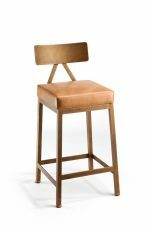 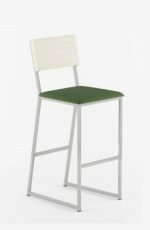 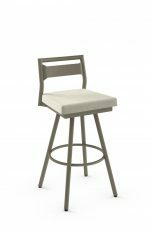 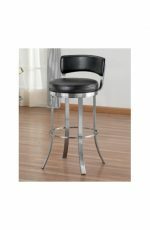 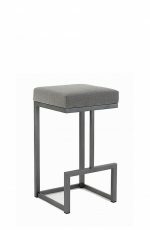 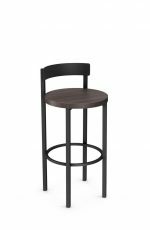 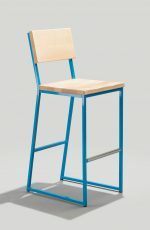 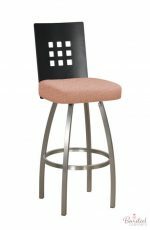 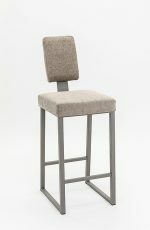 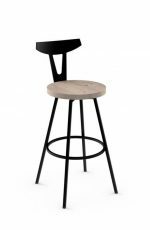 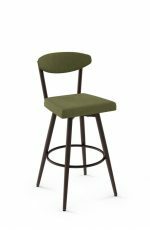 Narrow barstool can be stationary or swivel, in either square or round design. 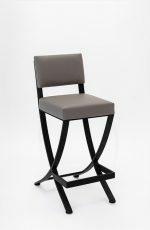 They come in any style: ultra-modern, contemporary, traditional and more. 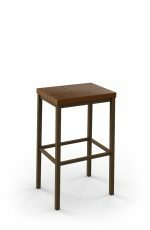 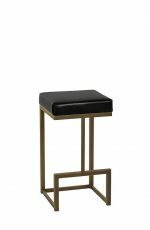 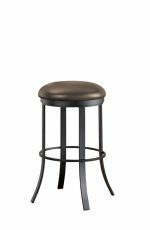 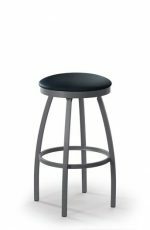 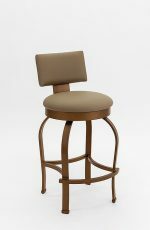 Just like most of our stools, our narrow ones come in counter height, bar height, or spectator height. 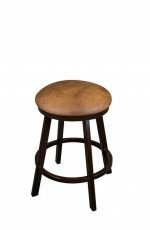 People of any size can find a narrow stool that’s comfortable for them. Just ask us — we can offer suggestions to match your height. 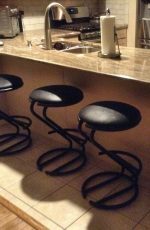 If you have a limited seating area, you might want to choose stools without arm rests. 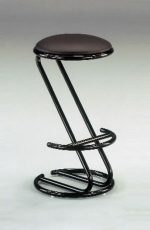 This will save you 2 to 6 inches of horizontal space per stool. 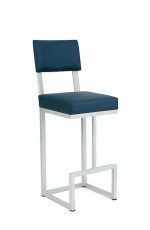 If you have plenty of space, then stools with arm rests are a great pick. 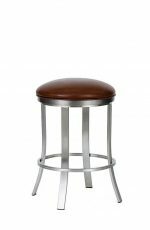 If you measure for stools based on an 18 inch seat width, make sure that you don’t order a stool with legs that flare out wider than the seat. 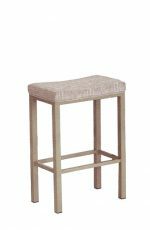 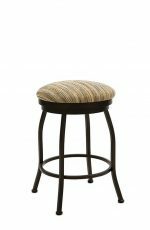 On the flip side, if you like a barstool with flared legs, use the widest point of the stool for your measurements before you order. 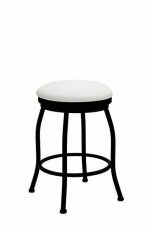 If you’re not sure how wide a particular stool is, just call or write to us for help! 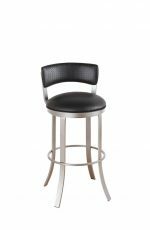 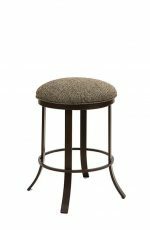 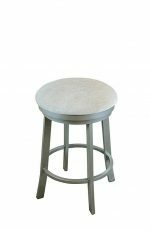 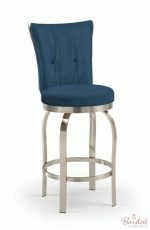 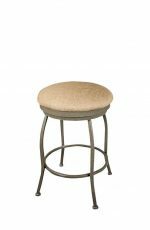 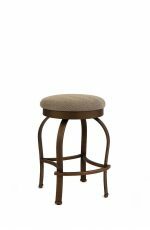 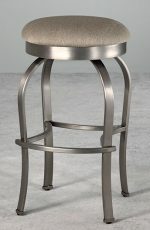 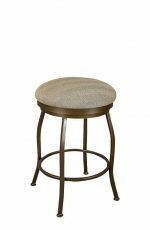 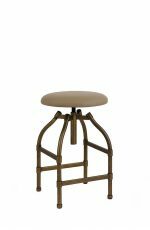 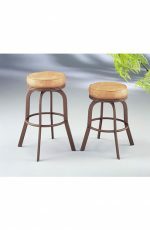 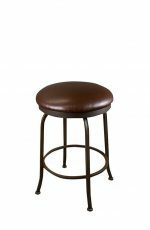 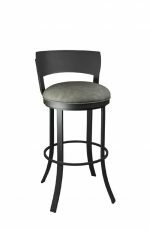 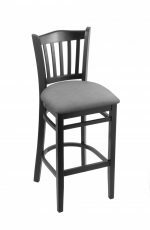 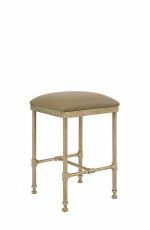 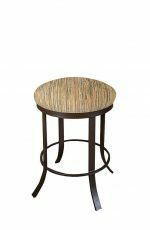 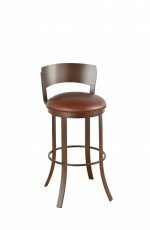 Narrow bar stools go great with small 30 inch round pub tables. 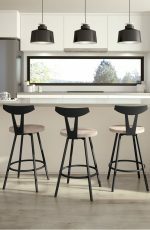 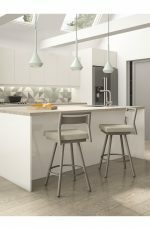 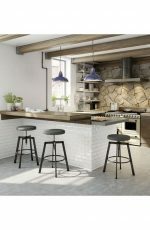 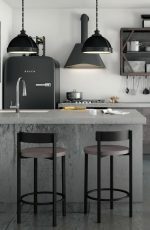 If you have a small area in the corner of a kitchen or next to a window, and you want something that’s not going to take up much space, narrow barstools are just right. 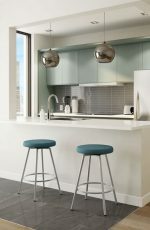 You can mix and match stools with and without backs. 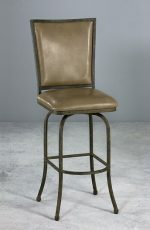 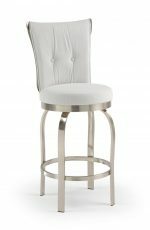 Lots of our narrow barstools have matching backless stools. 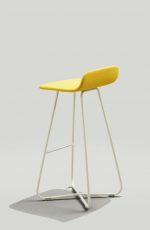 People combine stools with and without backs because sometimes too many backs can look overwhelming or cluttered. 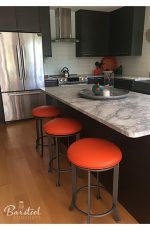 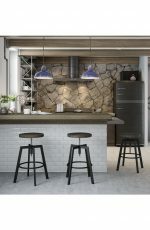 For example, you can put three narrow stools with backs along the length of your bar or counter, and put a fourth backless stool at the end of the counter. 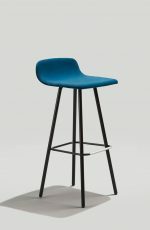 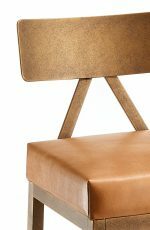 This “hides” the fourth stool and creates a sleeker look. 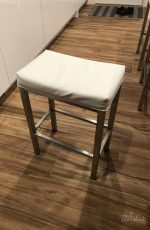 If you don’t have much room at the counter, you can keep an extra backless stool or two in the corner of the room, and move them to the counter whenever you need extra seating — for holidays, parties, etc. 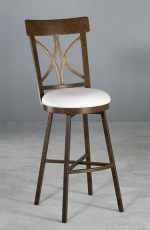 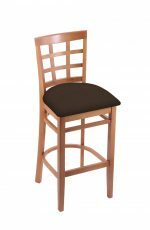 Want a tall narrow barstool? 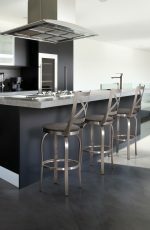 Choose steel. 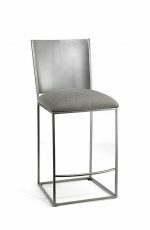 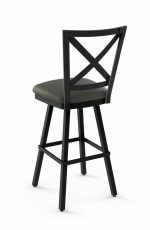 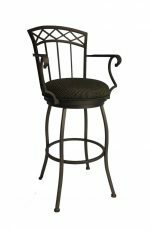 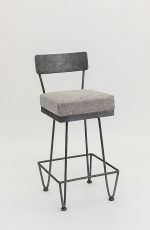 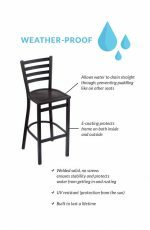 We recommend that you choose steel frames for narrow barstools that are 34 inch tall (these are known as “spectator stools”). 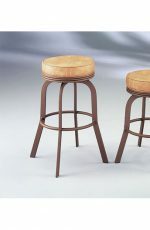 Wooden stools that are 34 inch tall or higher can be wobbly and unstable. 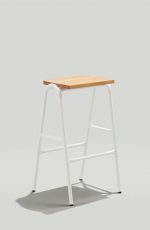 Also, to climb into a 34 inch wood stool, most people have to step on the foot rest and lift themselves into the seat. 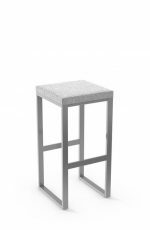 Over time, this will snap the foot rest — but steel is strong enough to accommodate any weight. 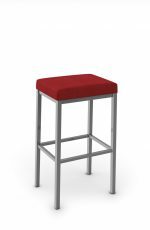 Steel stools are also heavier than wooden stools, and less likely to tip over. 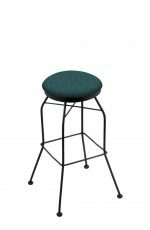 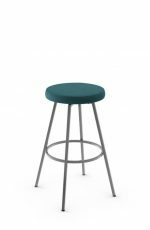 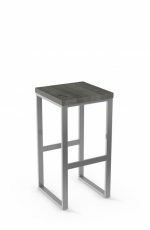 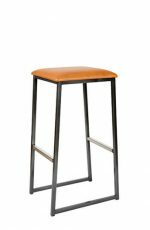 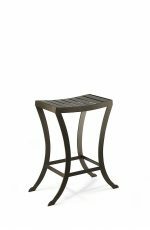 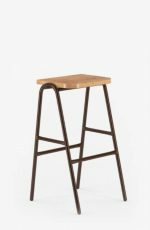 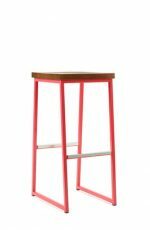 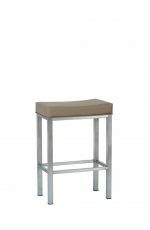 Narrow stools are lightweight to begin with, so choosing steel gives you some extra weight for stability. 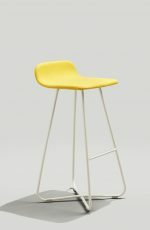 Many taller people find that narrow stools usually aren’t deep enough in the seat. 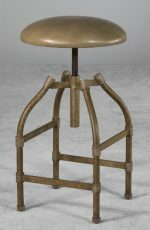 “Not deep enough” means that the seat ends midway down the backs of the thighs, which isn’t very comfy. 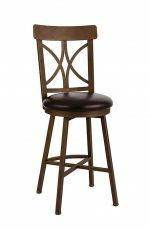 Our customers over six feet tall suggest the Portville narrow stool — they say that the extra-deep seat is very comfortable. 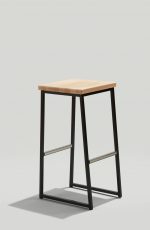 Don’t worry — it won’t be too narrow! 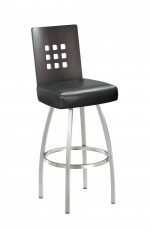 We don’t carry any narrow stools where the seat is too narrow and uncomfortable. 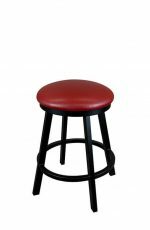 To us, a stool is too narrow if the seat is only 9 or 10 inches wide. 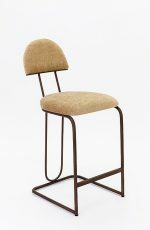 We compare this style to a bicycle seat — don’t worry, we won’t put you through that!